My best friend in baseball (active players) is Gabe Gross. 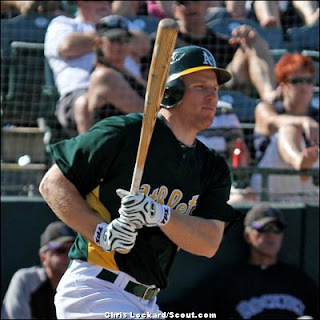 This year Gabe is plying his trade with the Oakland A's. Last night Gabe made an incredible catch in the outfield, leaping up, catching the ball after it cleared the fence, held on and brought it back. You can catch the action here.